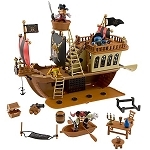 Our Mickey Mouse Pirates of the Caribbean Play Set includes 5 accessories for a Mickey Mouse pirate costume or just for fun! Ahoy! 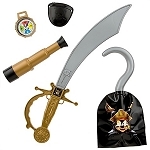 Our Mickey Mouse Pirates of the Caribbean Play Set includes everything you'll need to be a swashbuckling hero. Mickey's pirate sword has a cool light-up feature and sound effects that will bring back buccaneering memories of the Pirates of the Caribbean attraction. 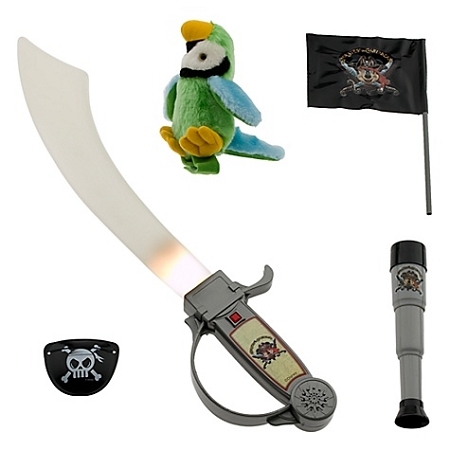 The perfect accessories for a Mickey Mouse pirate costume!